For kids, women and Men Clothing Store Factory Outlets all over America, scroll down to the links below for a detailed list. Factory outlets carry a huge assortment of deeply discounted clothes for kids, men and women, as well as shoes, accessories, electronics, music, gourmet foods, and more. Visit local outlet malls to get Kids Women and Men Clothing Store Items and other quality merchandise at affordable prices. This page features a detailed list of factory outlet malls in Florida. The state of Florida is home to 38 factory outlet malls with many hundred stores selling all your favorite designer brands. The Boynton Beach Mall in Boynton Beach has 73 factory outlet stores to visit. For details, call 561-736-7902. Coral Square Outlets in Coral Springs has 86 discount stores to choose from. For details, call 954-755-5552. The Dolphin Mall in Miami features 125 factory outlet stores, including several Men Clothing Store locatons. For store hours and other info, call ﻿(305) 365-7446. Edison Mall in Myers (Cape Coral) has many factory outlet stores, including men clothing store favorites such as Macy's, Sears, JC Penney, and Dillard's. For a complete list of stores or other info, call 239-939-1933. Ellenton Premium Outlets in Ellenton (Tampa) has 111 factory outlet stores to visit. For details, call (941) 723-1150. Factory Stores of America in Graceville (Tallahassee) has 4 discount stores to choose from. Florida Keys Outlet Center in Florida City features 34 factory outlet stores. For store hours and other info, call ﻿(305) 248-4727. Fort Myers Tanger Outlets in Ft. Myers has 39 factory outlet stores. For a list of stores and more info, call 239-454-1974. Gaitway Plaza in Ocala (Gainesville) has 16 factory outlet stores to visit. For details, call (352) 237-1223. Gulf View Square in Port Richie has 55 discount stores to choose from. Call the mall at 727-848-3858. Indian River Mall in Vero Beach features 59 factory outlet stores. For store hours and other info, call ﻿(772) 770-9404. Lake Buena Vista Factory Stores in Orlando also has 59 factory outlet stores. For a list of stores and more info, call 407-238-9301. Melbourne Square in Melbourne has 68 factory outlet stores to visit. For details, call (321) 727-8062. Merritt Square Mall on Merritt Island has 53 discount stores to choose from. For a mall map, a list of stores, and other information, call 321-452-3270. Miami International Mall in Doral features 89 factory outlet stores. For store hours and other info, call ﻿(305) 593-1777. Miromar Outlets in Estero (pictured above) has 97 factory stores, including several Men Clothing Store outlets. For a list of stores and more info, call 239-948-3766. Naples Outlet Center in Naples has 17 factory outlet stores. For a list of stores and more info, call 239-775-8085. Orlando Premium Outlets (Near Universal) has 157 factory outlet stores to visit. For details, call (407) 352-9600. Orlando Premium Outlets (Near Disney World) has 140 discount stores to choose from. For a mall map, a list of stores, and other information, call 407-238-7787. Outlet Marketplace in Orlando features 17 factory outlet stores. For store hours and other info, call ﻿(407) 352-9600. Paddock Mall in Ocala has 67 factory outlet stores. For a list of stores and more info, call 352-237-1223. Palm Beach Outlets in West Palm Beach has 87 factory outlet stores to visit. For details, call 561-515-4400. Port Charlotte Town Center in Port Charlotte has 57 discount stores to choose from. For a list of stores and other information, call the office at 941-624-4833. Royal Eagle Plaza in Coral Springs features 5 factory outlet stores. For store hours and other info, call ﻿(954) 755-5552. Sawgrass Mills in Sunrise has 194 factory outlet stores. For a list of stores and more info, call 954-846-2300. Shops at Seymour in North Miami has 1 factory outlet stor (Bonworth). For details, call 888-314-4167. Silver Sands Premium Outlets in Destin has 94 discount stores to choose from. For a list of stores and other information, call the office at 850-5-9771. St. Augustine Premium Outlets in Augustine features 81 factory outlet stores. For store hours and other info, call ﻿(904) 825-1555. The Florida Mall in Orlando has 165 factory outlet stores. For a list of stores and more info, call 407-851-7234. 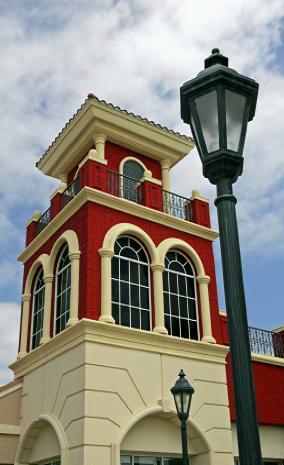 The Avenues in Jacksonville has 109 factory outlet stores to visit. For details, call 904-363-3054. Treasure Coast Square in Jensen Beach has 84 discount stores to choose from. For a list of stores and other information, call the office at 772-692-9401. Tyrone Square Mall in St. Petersburg features 99 factory outlet stores. For store hours and other info, call ﻿(727) 345-0126. University Town Plaza in Pensacola has 2 factory outlet stores. For a list of stores and more info, call 850-477-7562. Vero Beach Outlets in Port St. Lucie has 49 factory outlet stor (Bonworth). For details, call 772-770-6097. Waterford Lakes Town Center in Orlando has 62 discount stores to choose from. For a list of stores and other information, call the office at 407-737-2866. West Shore Plaza in Tampa features 71 factory outlet stores. For store hours and other info, call ﻿813- 286-0790.